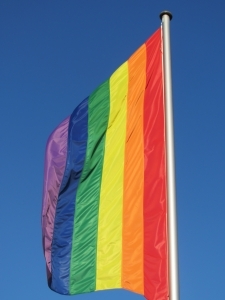 Workplace discrimination continues to impact the LGBT community in California and nationwide. Despite intolerance, hostile work environments, and other discriminatory practices, sexual preference is not a protected class. According to the Huffington Post, Vice President Joe Biden believes that President Obama should use his executive authority to ban workplace discrimination against LGBT members. Though this is one solution, the better option would be passing the Employment Non-Discrimination Act, a bill before Congress that could have more effective and widespread benefits. Many members of the LGBT have expected and waited for the White House to act to protect their rights in the workplace. During the 2008 campaign, the President promised to take executive action regarding LGBT discrimination, though no action has been taken. The President’s failure to act has been a disappointment to the LGBT community, though many hold out hope that passage of the ENDA or executive action is still possible. Our Orange County LGBT rights attorneys are dedicated to protecting the rights of the LGBT community. We are also aware of discriminatory practices in the workplace and are committed to raising awareness to protect workers throughout California. Though the White House may be pushing action back to Congress, passing ENDA would have more long-term benefits to the LGBT community. Under the law, it would be illegal to fire or harass anyone at work for being LGBT. If the executive order passed, the legal protections would only extend to federal contractors. According to critics of the argument, an executive action should be made regardless of whether Congress passes ENDA. Other groups, including minorities, have multiple legal protections, including federal employment laws passed by Congressional action as well as those passed by executive order. LGBT advocates say that it is possible that both ENDA and an executive order be passed. While ENDA would hold both private and public entities accountable, executive orders would also give the government authority to terminate contracts with companies that violate these practices. The ability to end a contract under an executive order could be sufficient incentive for companies to put non-discriminatory practices in action. Passing both ENDA and an executive order would give broader protections to stop discrimination involving federal contractors and other employment settings. ENDA has been challenged and some have outspokenly refused to support it. Despite setbacks on the law and delays in the executive order, some states have pursued their own initiatives to put an end to LGBT discrimination. California workers are still protected under state law. The state of California bars discrimination based on sexual orientation and gender identity in the workplace. Employment discrimination may come in the form of harassment, failure to hire, termination, demotion, sexual harassment, or other forms of intolerance based on sexual orientation or gender identity. If you have suffered discrimination in the workplace, remember that you do have rights. Consult with an experienced advocate who can review your case and take necessary legal action on your behalf.